Employers are vital to the success of the child support program. The New Mexico New Hires Directory appreciates your important role in employment reporting and employer child support requirements. We recognize that child support-reporting may create extra work for some employers, so we try to simplify the process, providing helpful links and information for employers in one place. New hire reporting is the first step toward successful child support enforcement. Every employer is required to report every employee to the New Mexico New Hires Directory, regardless of his or her child support status, within 20 days of the date of hire. Sometimes more specific and current information about an employee is needed to carry out a child support enforcement order. Employers may be contacted by mail to verify an employee’s employment status, wages, and benefits. Employers must respond promptly. E-link service of the New Mexico Child Support Enforcement Department that allows employers to respond online to nearly all reporting requirements. Income withholding is the single most effective tool for collecting child support. Federal and state laws require income withholding in almost all enforcement cases; receiving an IWO for an employee does not reflect negatively on that individual. It is illegal to terminate or otherwise deny employment to an individual based on their involvement with child support. Employers may receive a National Medical Support Notice (NMSN) alone or with an IWO. The NMSN requires the employer to enroll an employee’s child in any health insurance plan for which an employee is eligible. Employers must notify NMCSED as soon as possible when an employee who is the subject of an IWO stops working or no longer receives periodic income from the company. Starting up a new business? You will need to register with various Federal, State and Local Governments. Below is a list of agencies you may need to contact for further information. All businesses operating in New Mexico must obtain a State tax identification number, and report earnings and wages on a quarterly basis. Contact the New Mexico Department of Taxation and Revenue to receive a CRS Filer Kit. 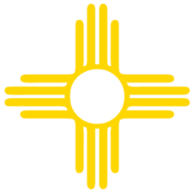 Most employers in New Mexico are required to obtain Unemployment Insurance. All employers are required to post certain labor posters in their place of business. Contact the New Mexico Department of Workforce Solutions for more information. Many types of businesses need special licenses from the State to operate. Research the specific license & permits for your type of business with the New Mexico Department of Regulation & Licensing. Almost all employees in New Mexico are required by law to have Worker's Compensation Insurance. Register trademarks and Uniform Commercial Codes; in-state and out-of-state corporations, limited liability companies, cooperative associations, foreign business trusts and other business entities with the Secretary of State. Apply for licenses for various industries, occupations and hazardous materials. All businesses must register with the Internal Revenue Service for a Federal Employer Identification Number. To register a trademark, contact the US Department of Commerce Trademark Office. To register a patent, contact the US Patent Applicationsoffice. Business are required to post certain documents provided by the US Department of Labor in their place of business. Business owners must also register with their local municipalities. Visit the following links to find out more. Employers need support and information throughout the entire life of their business. Here are some links that may be helpful to your company.